TwinSpires has a range of bonuses and promotions to entice both new customers and reward existing ones. We're going to look at an assortment of bonuses and promotions on offer at TwinSpires, as well running through some of the key terms and conditions for each. New customers are eligible for a $100 TwinSpires bonus after they open an online account with the bookmaker. The bonus funds are not made immediately available, however, and bettors should note some specific wagering requirements and other terms before signing up. This TwinSpires bonus for new customers is similar to other market competitors, which you can read more about here. Qualifying for the TwinSpires bonus requires bettors to sign up as new customers and meet certain wagering requirements within 30 days of the account being confirmed. Head to the TwinSpires website, register as a new customer and confirm your email via the link sent to the nominated email address. Wager a minimum of $500 within the first 30 days after sign-up to qualify for the bonus. The offer applies only to new players. Existing and former AmericaTAB, YouBet and FGNetBets account holders are not eligible. Players must make a deposit of any amount and wager at least $500 within the first 30 days of sign-up. New online betting accounts from households which already have, or previously had, a TwinSpires.com account do not qualify for the promotion. The bonus funds are deposited into the player’s account within 10 days once all eligibility criteria for this offer have been fulfilled. 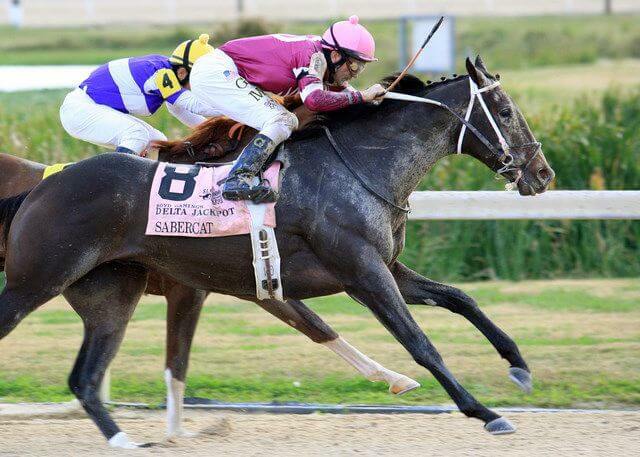 Explore the full TwinSpires review to be sure this is the horse race betting operator for you. 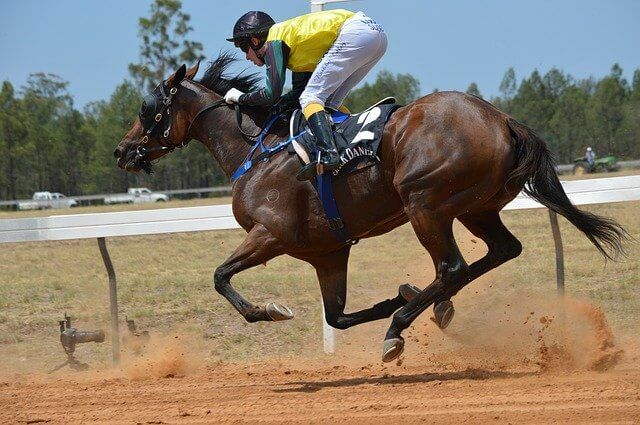 TwinSpires utilizes a rewards points system known as TSC Elite Points, whereby bettors earn rewards per each wager placed, which they can then exchange for wagering credit. In turn, the company offers existing customers the chance to maximize their TSC Elite Points through various offers, such as the 30x Thursday promotion. 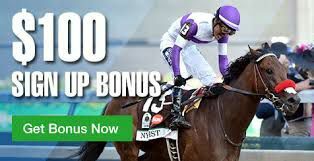 As part of this TwinSpires bonus, bettors can earn 30 rewards points for every dollar wagered, as opposed to the standard four points per dollar, provided that certain terms are met. 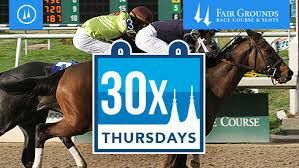 Opt in to the 30x Thursday promotion at Fair Grounds through their TwinSpires account. Place a wager or wagers on any race card at Fair Grounds. Record at least $10 gross winnings across all wagers at Fair Grounds to earn the bonus points for each dollar wagered. Similarly to the 30x Thursday promotion, this TwinSpires bonus is specific to a particular racetrack and offers additional rewards for players that salute with winning bets. 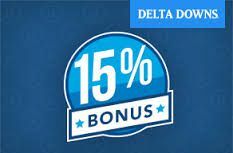 In this case, the bonus applies to daily double wagers on any Delta Downs card, with winning bets receiving15% more than the track payout. The offer applies only to winning daily double wagers placed on the Delta Downs card. Bonuses are capped for each player at $500 per card. The bonus funds can take up to 48 hours to appear in the player’s account. The offer expires on March 8, 2017. There are a variety of ways to get more information on any TwinSpires bonus and associated terms and conditions. The company has a helpful support section on its website, where numerous categories and relevant FAQs for each are clearly listed. For queries that are not answered via the website, customers can call 1-877-774-7371 9am to 12am eastern time seven days a week. Additionally, email queries can be submitted through the website, or by emailing [email protected] Email response times are approximately two business days. There is also a live chat service for customers to take advantage of, and the company also receives mail correspondence at: TwinSpires, 801 Corporate Drive, 2nd Floor, Lexington, KY 40503.